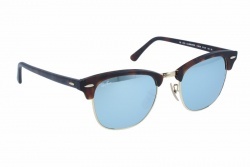 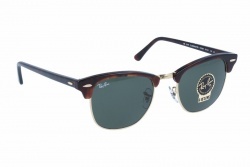 Ray-Ban Clubmaster Classic sunglasses are a retro and timeless style. Inspired by the ’50s, the unmistakable design of the Clubmaster Classic has been repeatedly in the historical choice of the intellectual and cultural references. A design that anticipates future trends. The iconic sunglasses Classic Clubmaster frames are available in black or brown, and treatment of green glass lenses. 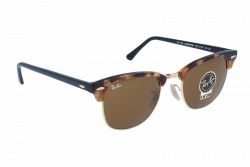 Carrying a Clubmaster RB3016 Ray-Ban Classic is always a statement of intent. 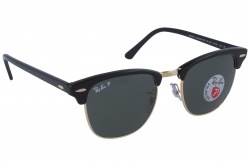 With solid and genuine colours, the classic B-15 were initially developed for military use. 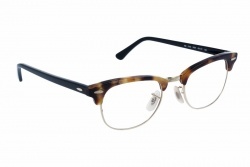 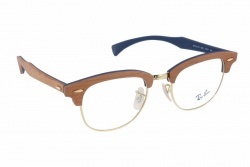 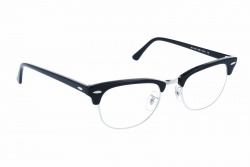 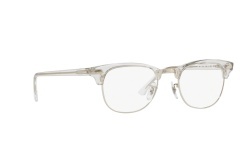 They offer a high level of clarity, comfort and protection. By absorbing 85% of visible light and block much of blue light, green lenses offer a significant color contrast by ensuring clarity and a more “natural” vision.